We take the guesswork out of exercise and create tailored exercise programs to help you live a productive and healthy life. Our exceptional staff recognizes the barriers to beginning exercise and the need for guidance and motivation to stay the course. Our job is to walk with you each step of the way – providing education, expertise, and a culture of support and social interaction. We invite you to check us out on Facebook, Twitter and Instagram. Have a great day and I look forward to meeting you! Depending on your membership choice, training sessions are either 30 or 60 minutes. We recommend working with a trainer twice per week, although when you choose your membership, you determine if you would like to meet more or less often. Our group classes are available to all personal training members at no charge. These larger classes (12 people max) are designed by our trainers to complement personal training. They can be tailored to the individual’s participating as necessary. Flexibility, agility, balance and cardiovascular exercise are the focus of the classes. 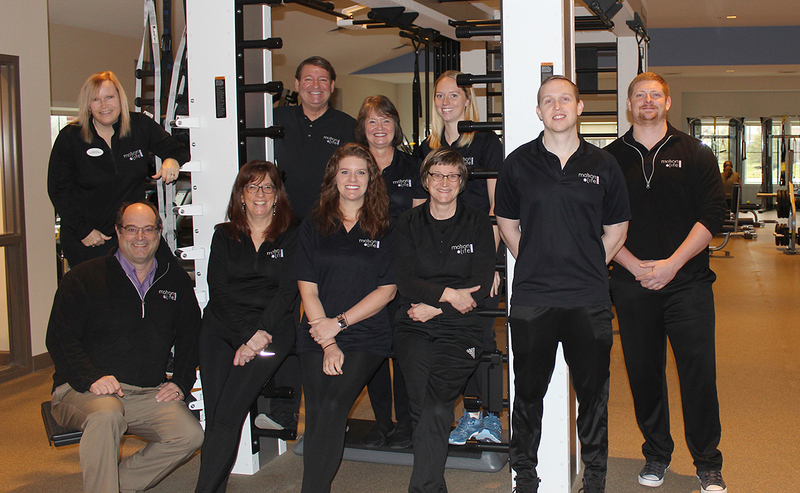 Our staff will help you choose appropriate classes for your exercise ability. 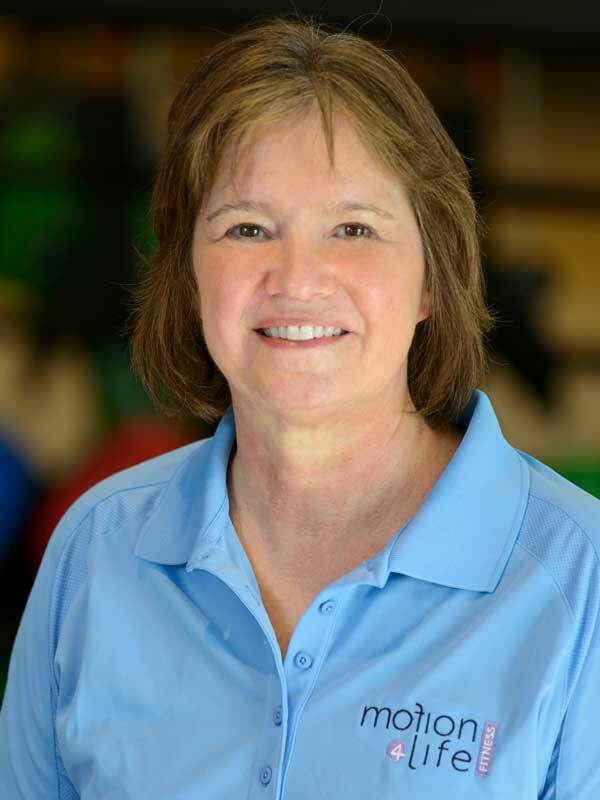 Carol has been an emergency medicine physician for over 25 years and is also currently the medical director for physician assistants and nurse practitioners working in Columbus Regional Health’s emergency department. She has owned and managed 2 emergency medicine physician groups where she was responsible for operations, personnel, and education. 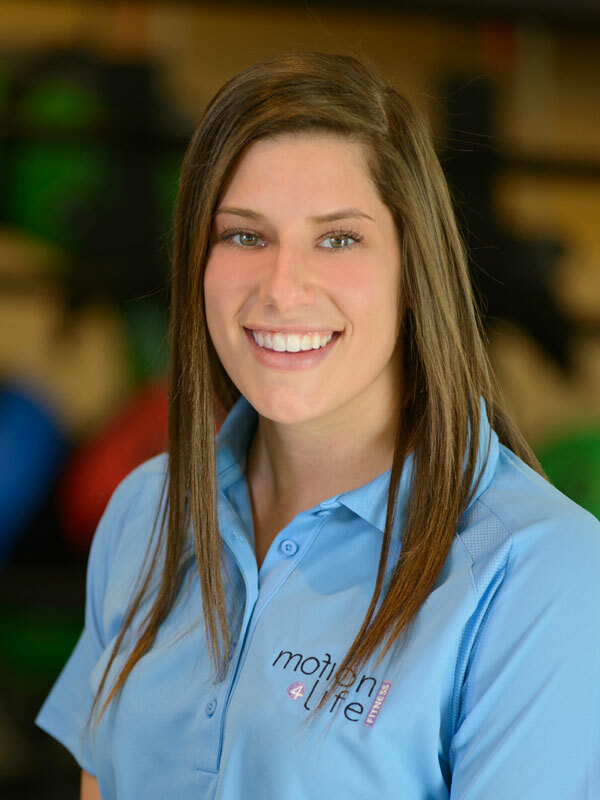 She is active in the day to day operations, management, and ongoing development of Motion 4 Life Fitness. She is an avid basketball fan and may have given Larry Bird a run for his money before a knee injury cut short her collegiate career at the University of Chicago (ok,….maybe that is a bit of a stretch with LB….). Her favorite literary character is Bernie Rhodenbarr and favorite leading men on television are Perry Mason and Leroy Jethro Gibbs. Carol is most grateful in her life for having a wonderful family that is part of her everyday world. Pam graduated from the Krannert School of Business at Purdue University with a Business Management degree. She has worked for many years at Marketing Research Technologies as a coding analyst for medicinal drug products. She has also worked for Arbitre Consulting, a contractor with the State of Indiana, doing in-home assessments for the disabled to evaluate their State funding needs. She is a former elementary school instructional assistant with the Carmel Clay school system. Pam loves spending time with her children and grandchildren. She enjoys traveling, especially to Florida, as well as cooking and gardening in her spare time. 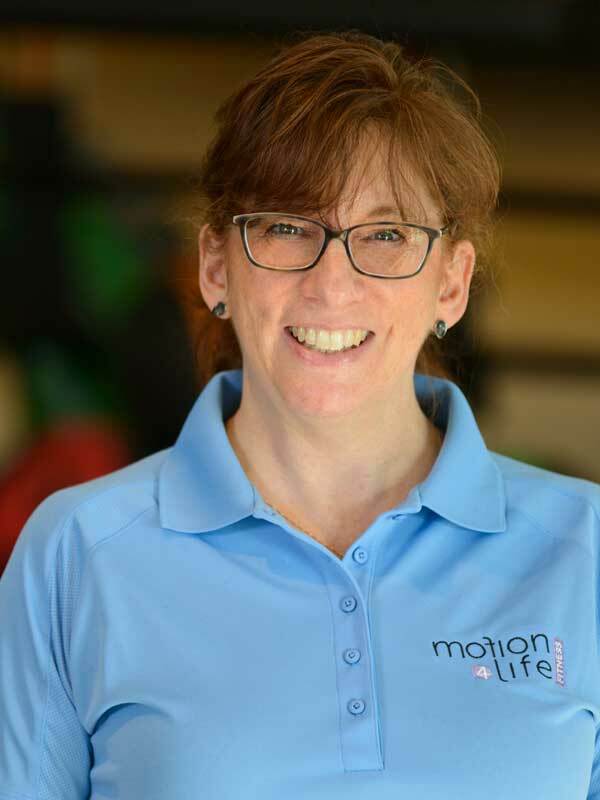 She looks forward to a great opportunity in helping to grow Motion 4 Life into the premier gym experience for active agers. 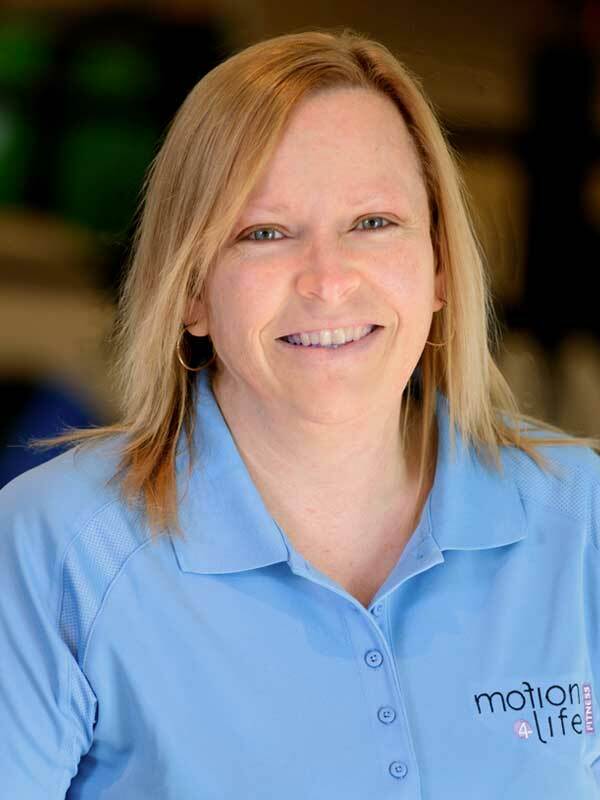 Although several representatives from the Japan and China national teams have inquired about her services as an Olympic table tennis consultant, Motion 4 Life hopes that she remains with us in Indiana for a long time. 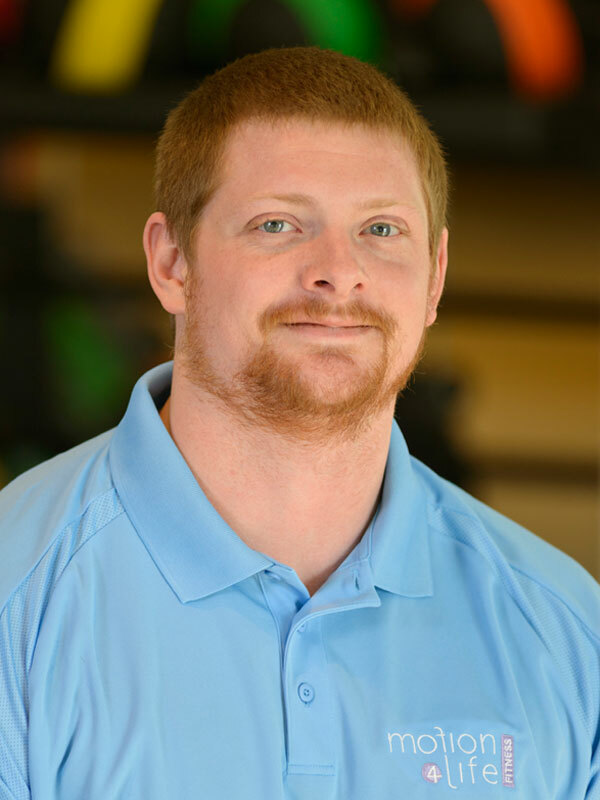 Dave received his BS in Exercise Science at Ball State University and has over 7 years of experience as a personal trainer. 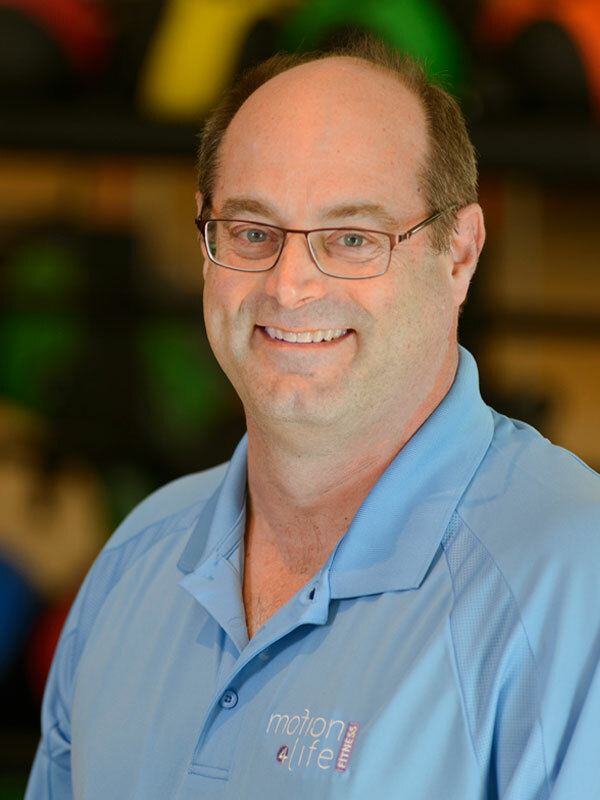 He is a certified Senior Fitness Specialist from the National Academy of Sports Medicine and has a specialty certification from the Functional Aging Institute. He has helped a wide variety of individuals move, feel, and look better. These efforts have helped lead people to an improved quality of life and a longer life of independence. Dave is an excellent communicator and motivator and has designed specialized programs that may include weight loss, strength building, sport-specific conditioning, and general fitness. Dave’s individualized programs put an emphasis on proper movement and progression in order to help clients reach their goals. By the way, Converse should sign him to an endorsement deal because nobody looks better in Chuck Taylors. 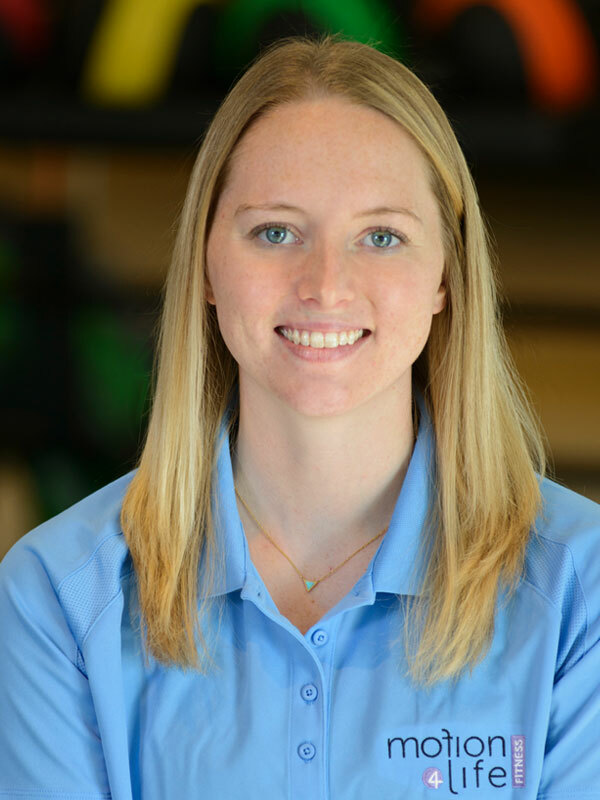 Karena received her BS in Athletic Training from Concordia University (Wisconsin) and a Masters Degree in Applied Exercise Science from Concordia University (Chicago). She has worked with numerous sports teams over the past several years. She is an avid sports fan and not only enjoys watching basketball and baseball, but participated as a collegiate athlete as well. The Chicago Cubs are her team and she’s still celebrating their recent World Series win….Fly the W! She enjoys camping, hiking, and rock climbing. She is actively involved in training dogs to become therapy animals and is currently grooming Wrigley, her new puppy, to be Motion 4 Life’s official therapy dog. Amanda has been helping people with their weight and understanding of healthy eating for nearly 10 years. Whether working with children, adolescents, or adults, her goal is for everyone to enjoy the body they are in and accomplish things they never thought possible. She has made positive impact on lives with proper nutrition education, provided support through life changing events, and fostered improvements in confidence and self-esteem. 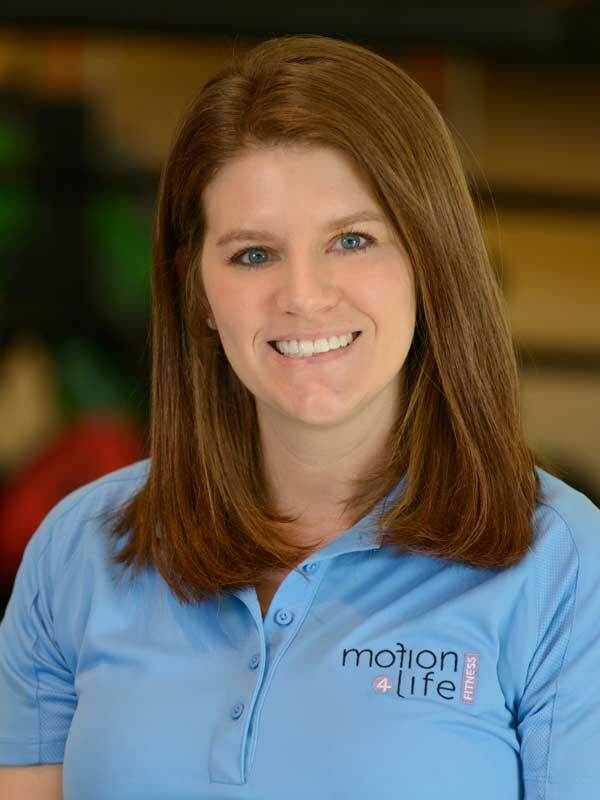 In addition to her work at Motion 4 Life, Amanda has a private practice. Amanda is a member of the Academy of Nutrition and Dietetics, Eating Disorder Task Force of Indiana, and a member of JumpIN, a central Indiana childhood obesity initiative. She finished her Bachelor of Science in dietetics at Marshall University and received her master’s degree from Ball State University. She has also served as a clinical dietitian at the Charis Center for Eating Disorders and Riley Children’s Hospital. Charlie is the digital whiz many of us will only dream of being. He has shown outstanding creativity in the development of Motion 4 Life’s social media presence. 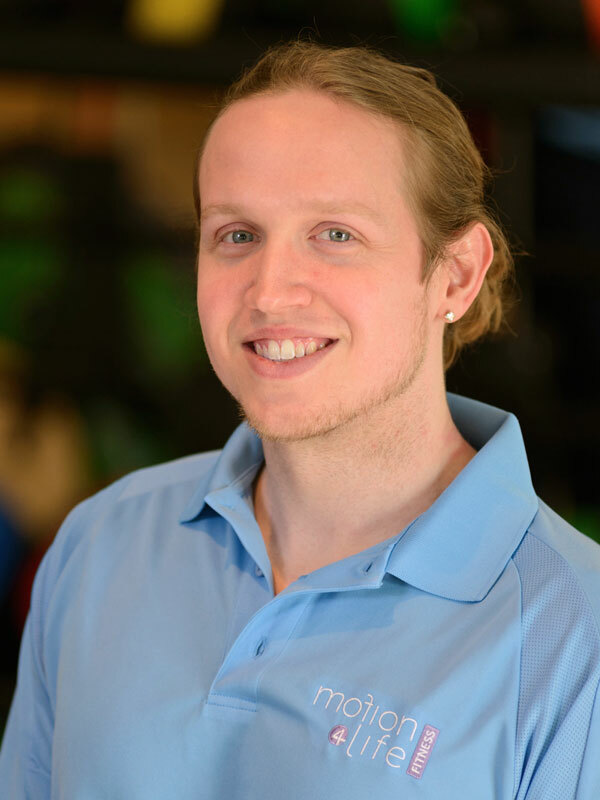 He organizes, develops, and maintains our various fitness blogs and social media pages. He graduated from Purdue University with a Bachelor’s Degree in Technology and majored in Organizational Leadership and Supervision. Charlie has held every job possible at Some Guys Pizza, and by all rights, could run the whole outfit. His prior work experience also includes being an Epic CareConnect Super User for Community Health Network. He is an accomplished gamer, video editor, and he makes some awesome pizza! Favs include his dog Pepper, basketball, and working out. He is looking forward to the new opportunities and challenges that come with Motion 4 Life. Heidi has mastered the art of excellent customer service through her work as an Executive Administrative Assistant with Residential Warranty Services. Her compassion and care for others is evident from her work as a Direct Support Professional with Opportunities for Positive Growth, an organization which advocates for special needs adults, and her work with Clarity Personal Care Services where she helped older adults function in their homes. She brings administrative fitness experience from her prior work at the Fisher’s YMCA. Heidi graduated from Indiana Wesleyan University with a degree in Social Work. Heidi’s interests include hanging with family, collecting photos, serving at her church, researching relationship topics, and writing. She hopes to be a published author and start a blog. She is anticipating a great year of improving her health and fitness, and considers herself a very positive, supportive and encouraging person, believing that love and laughter are huge keys to enjoying life. Valerie is a licensed clinical psychologist. She received her PhD from the State University of New York at Buffalo. She did her internship at the Worcester Youth Guidance Center in Worcester, Massachusetts with a focus on child and family therapy. 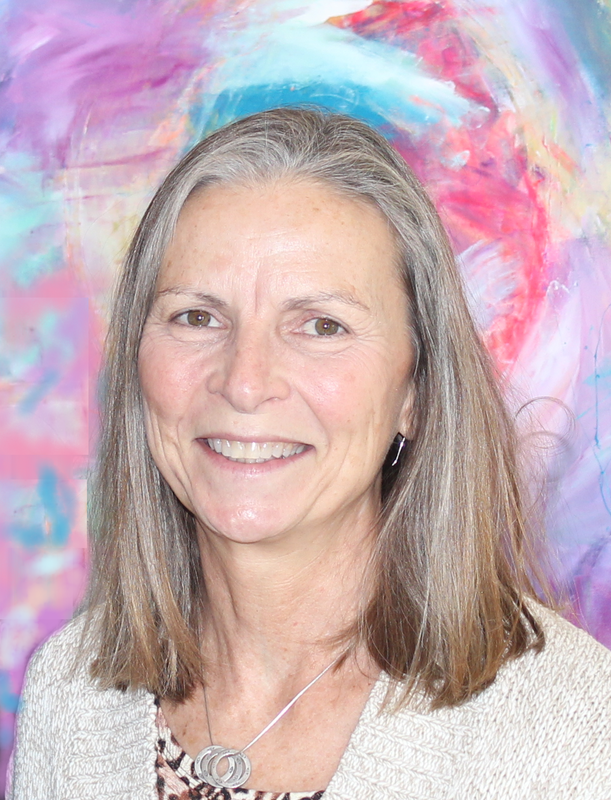 She has been in practice in Indianapolis since 1993 and has worked with children, adolescents, adults and families in a variety of settings including in private practice. Valerie joined the IU Health Charis Center for Eating Disorders in 2009 and became the clinical director in 2012. She is an artist and enjoys painting, and makes the world’s best brownies and spaghetti sauce. Hannah is completing her bachelor’s degree in special education at Ball State University, and enjoys mentoring special ed students and coaching Special Olympics basketball. She has significant work experience in the food service industry, is passionate about creative workouts, and easily warms a room with her beautiful smile. 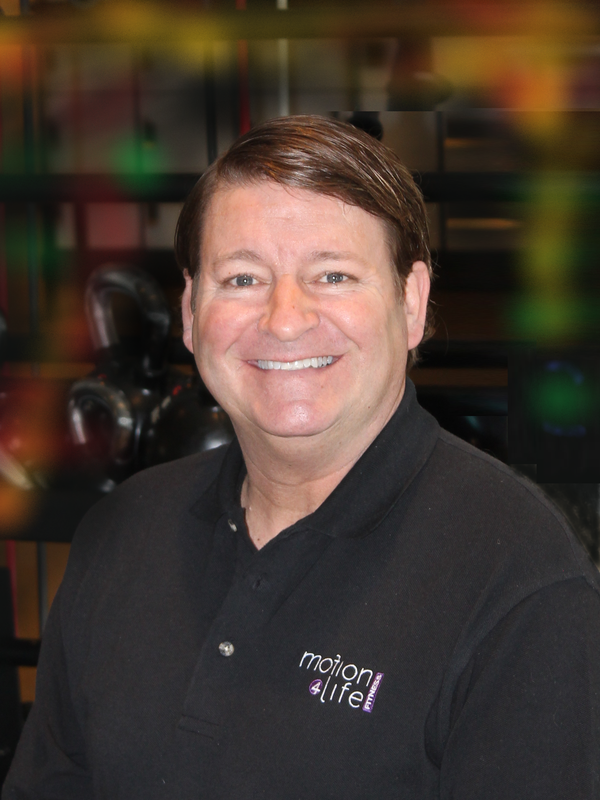 Chuck brings a wealth of marketing, sales and healthcare experience to Motion 4 Life Fitness. Over the past 32 years he has worked for a publicly traded $8 billion real estate investment trust; assisted two family businesses with their growth and expansion into multi-million dollar operations; and coached executives with his Action Plan 4 Life program. He is quite active in his hot yoga practice and is an avid sports fan. Even though he is a Purdue graduate and enjoys following Purdue, he also loves following Butler, Indiana and Notre Dame – as well as the Colts and the Pacers. Beside sports, Chuck enjoys music. You may even be at a church sometime and hear him singing. He is a former soloist with The Purdue Varsity Glee Club, and when Dr. Weesner speaks for active adult groups at area church’s, Chuck adds to the program with a few songs. Tom brings a diverse background of experience including corporate strategic marketing/planning, sales, consulting, facility management, and construction. His experience with large Fortune 100 companies and the demands of running his own business give him a unique perspective on business operations. He is a master at problem solving, the development of streamlined procedures/systems, outcome optimization, customer service strategies, and risk management. He is a firm believer of continuous quality improvement and fostering a creative, collaborative work environment. Tom is a graduate of Miami University (Ohio), enjoys reading, and can hit a softball a county mile. His passion is working with youth and developing their gifts and talents. He has published a book written by Leaders In Action, a youth program he started in the Mapleton Fall Creek neighborhood near Broadway Methodist Church. The Untitled Book: Different Opinions of Different Minds presents the raw, open and candid thoughts and feelings of the group’s members. The book was used in several universities as a text to help college students better understand inner-city youth. 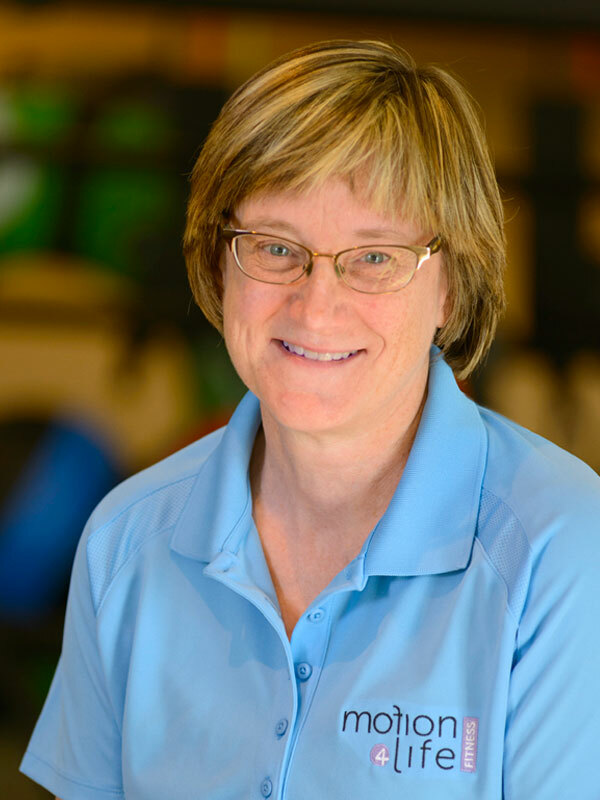 Melissa has been a Physical Therapist for over 25 years and is our new Massage Therapist. In addition to her massage therapy, she practices pediatric physical therapy through the First Steps early intervention program. She has developed a life-span approach to health and wellness that includes massage techniques for all ages. She is a fitness enthusiast and enjoys many activities both indoors and outdoors for movement including judo, racquetball, tennis, bicycling and hiking. Melissa is a native Hoosier from the southwest corner of the state, calling both Evansville and Indianapolis home and enjoys being a sandwich generation daughter, mom and grandmother.